Why WiFi Hotspot on Android, Because we own different type of gadgets like smartphones, tablets etc. and also want to have access to the internet from a phone. portable free Wifi Hotspot on Android, it’s very useful nowadays and so productive, we can share our network with our friends since sometimes not all of us have access to the internet for different reasons. You can check below quick ways to create wifi hostspot on Android Mobile Phone, iPhone, iPad and Tablet by manually active this settings or by activating some Apps. Go to your phone’s settings section. – Find out the “wireless and networks “section (name may change on different smartphones). Click on the hotspot icon, now fill out the network name you would like, choose between security options, you can create an open network, WEB, WPA or WPA2, go for the last since its encryption makes it more secure, type in a password and click next. 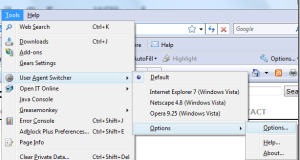 Go to Start Menu in PC, and open Control Panel. Find the “Network and Internet” category and open it. This time click on “Network and Sharing Center “. – Click on “Set up a new connection or network” section. A wizard will pop up, scroll down until you find “Set up a wireless adhoc network” and click on it. A new window with some information will open, click next. Fill out the Network name, choose the security type (WPA2 recommended) and type in a security code. Make sure to click on the “Save this network” check box. And finally, all you have to do is to enable connection sharing. This can be easily done using your network card. Go to “Network and Sharing Center”, click on change adapter settings, find your wireless connection and enable it. 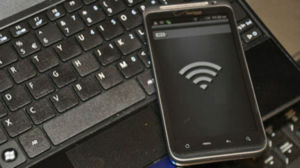 You’re done, now refresh your wireless list on your computer, find out the connection, type in the password and click connect. Once we are done all devices can connect through it by simply turning the WiFi On, finding the network and also providing the network security code as we will set up later. You can share your portable wifi hotspot with mobile phone since we do not want to be charged for mobile data transfer and almost every Network provider places limits at this point. Always remember to create a strong password with different characters in order to prevent unauthorized users to access your network.